Schlage LINK is setting the standard for other companies to follow with the introduction of their LiNK product line. Did you forget to lock the door? Perhaps you forgot to turn the lights out. Schlage LINK - Are The Kids Home Yet? Schlage LINK products offer incredible convenience for everyday people like you and me. Especially difficult for all our working lives is planning our professional lives around the many contractors we require to service our homes and products. Like plumbers, electricians, builders, renovators, carpet cleaners, maid service, delivery drivers etc, it is often difficult and very frustrating to pin down a technician for an exact time. Schlage are considered world leaders in the fields of commercial and residential security products. A couple of years ago, they introduced a completely new system designed to revolutionize the home security and control world, known as LINK. Using Z-Link technology, they have created a simple, yet functional, easy to install and operate system comprising door locks, cameras even lighting controls. Pictured here are the latest crime statistics as reported to Saint Louis County Police, for January 2010. We are displaying only burglary and larceny reports filed with the police department. Remembering that these are only the incidents reported by officers, there are likely more significant numbers of crimes that go unreported. The green dots represent the locations of those crimes. We are only reporting these two types of property crimes, because these are the types of crimes we are primarily concerned with in regard to our business. The site in the source below, actually provides the particular street location of each incident. For more precise information we suggest you click on the source. This unique securichain device is especially designed for residential or hotel/motel inward opening doors. Simply installed and very easily operated, if it were mounted up high on a door, younger children would be unable to reach to unlock the device, preventing eager young minds from "flying the coop". Easy to operate, simply push the toggle switch to lock or unlock the chain. There is an easy to identify color scheme to show you when it is locked or not, complying with ADA and life safety codes. Simple and quick to install, the only tools required are a power drill, wood chisel, drill bits and a screwdriver. Available in silver and brass/gold. 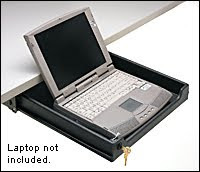 Pictured here is a functional sliding tray that is key lockable, enabling you to secure your laptop to your desk, while it remains connected to power and communications. Though similar to a keyboard slide, this retractable computer tray is designed specifically for laptop use. It will hold any laptop measuring up to 15-1/2" wide by 17-1/2". The textured polystyrene tray has slots in the rear for cord management and a recessed front for unobstructed keyboard access. A small cam lock (includes two keys) is supplied for optional installation on the tray front, to secure against impulse theft. The 20" slides (16" travel) operate on quiet nylon rollers, install using four inverted "L" mounting brackets, and have positive hold-open and hold-closed features. Mounting instructions and hardware included. Well made, it is an excellent retrofit for desktops short on space, and is a great method for concealing a laptop when not in use — an ideal combination for student dorm rooms or open floor office layouts. offering that coordinates with existing Baldwin knobs and levers. roses within the Estate collection. Continuing with our series about lock companies and their history's, we present the history of the founding of America's foremost lock and door hardware company, Baldwin. Baldwin products are often considered at the higher price range of hardware products, but for good reason. Most Baldwin products are warrantied for life. Across the country, tens of thousands have told their stories. Each of which will be archived at the Library of Congress, with a selection also being made available on public radio and the Internet. Fayerman, who was born in Poland, began his story with a retelling of his experience as a prisoner held in several concentration camps during World War II. In the recording, he speaks of a typical day spent at Auschwitz. Soon after immigrating to the US with his family in 1945, Fayerman began working at a tool and die shop in lower Manhattan. 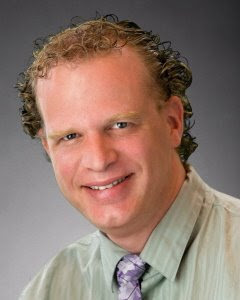 With aspirations toward owning their own business, he and his father began a search for companies for sale and negotiated the purchase of Baldwin Tool and Die Company, based in Newark, New Jersey. As a result, in January 1946, Fayerman and his father co-founded what was to become Baldwin Hardware only one year after arriving in the US. Fayerman held an active, daily role in company leadership until the sale of the company to Masco Corporation in 1982, after which he assumed the position of honorary Chairman Emeritus, acting as advisor to Baldwin executives and serving as a key instructor at Baldwin University. The company celebrated Fayerman’s official retirement from Baldwin Hardware in June 2008. Fayerman has chronicled his personal history in a short memoir called, A Survivor’s Story. He now resides in Reading, Pennsylvania and has been traveling since the start of his official retirement date. Baldwin Hardware manufactures an extensive family of superior architectural and decorative products for the home in a variety of finishes, including its proprietary Lifetime Finish. Baldwin Hardware products signify quality and innovation, with offerings that include hardware and locksets and exterior lighting, as well as bath and cabinetry accessories. All portfolios are available in a rich variety of finishes and textures. The Reading, PA based company with more than 60 years of heritage, is part of the Black & Decker Hardware & Home Improvement Group, headquartered in Lake Forest, CA. Black & Decker also own Kwikset Lock Co.
Schlage, hot on the heels of Kwikset, introduce their own field re-keyable locksets. 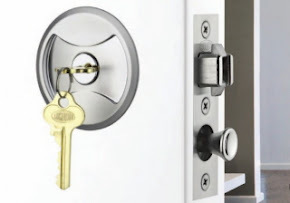 To be honest, whereas there may be a market for these products, more often we locksmiths are finding that many homeowners do not know they have "that" kind of lock and still will call us to rekey their locks. Wait until you lose your key. I havent seen the specs on this product yet, but they say that it is bump proof and pick resistant, but I suggest that it would actually be rather easy to pick (given the quality of many modern day Schlage products) and someone could easily lock you out of your house. The extra security may or may not be worth it to you, but if you want excellent security for a competitive price with all the abilities that this product brings, look at Bilock. It has been around for decades and has proven itself the world over for it's quality, aesthetic value, ease of use and reliability. An interesting site has appeared on my radar. I came across this independent site quite by accident, the other day and am delighted to see some other opinions about our signature product Bilock. "Medeco locks are currently used in over 75% of the US high security market, with few users knowing that they may want to avoid Medeco locks. While worldwide their high security market share is much lower, in the US they still are the predominant high security lock. Unfortunately over the past few years, several vulnerabilities of this system have come into light. 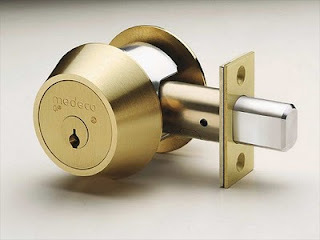 While the system certainly offers more protection over a standard pin tumbler lock, in the price range of Medeco locks there are far better security solutions. Keep in mind that most of the vulnerabilities listed here apply to standard Medeco Biaxial and M3 locks (like deadbolts, and padlocks) and not to their line of cam locks, which utilize a different mechanism and still appear to offer a decent level of security (as long as they are not overly master keyed, and some key duplication issues still exist)." "If you are looking for something that offers more pick or force resistance and the many benefits of a traditional high security lock we currently recommend Abloy and BiLock. Both are very good high security locks, with the Abloy Protec being one of the few locks that has yet to have a documented method of picking, bumping, or imprisoning since it came out in 2001." Another design, we hope to make available soon is this unique product tailored for securing the common bypass sliding doors, similar to those found on wardrobes and closets. 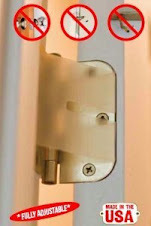 The first and only lock to insure security on by-passing doors. This specialty-design hook bolt positively engages the strike in the other door and eliminates possibility of prying doors apart. Only the cylinder face or thumbturn escutcheon and return of lock face is visible from room side. Many applications exist with current floor plans designed by modern thinking, space saving architects. Enabling the ability to easily partition a large room or banquet hall and effectively secure the doors closed. Installed similar to a drawer lock, requires precision fitting and is best done by seasoned technician. I have sliding wardrobes in my house too (must be a '70's design) but mine are with full length mirrors. I'm still searching for a better alternative to secure them. 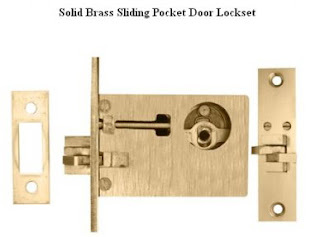 Hot on the heel of our recent Pocket Door Lock With Key, we are happy to be able to bring you a different style of pocket door lock made from solid brass. This product (we will make available soon) is fundamentally different in design, but offers the ability to install to an entry door. 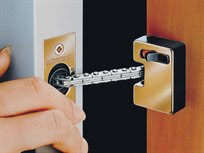 Using an inside thumbturn assembly, the lock can be easily opened from the desired side, or from both sides, if needs be. Below, find the different style handles available, to suit every desired function. Using one body design allows for multiple applications, reducing cost to manufacture. 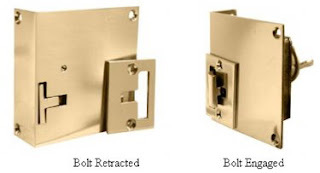 This particular flip bolt feature is unique to sliding door locks and is widely known around the world as the best design for locking sliding doors. Brass is a self-lubricating metal, requiring less maintenance than the pre-fabricated modern materials used in more mainstream products. 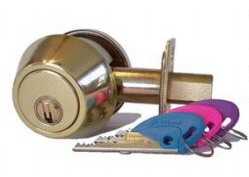 We will be able to provide these locks with different keyways, like Schlage, Baldwin, Kwikset, Weiser or Weslock and we will even be able to master key, if required. There are multiple sources of statistics available online for statistics relating to crime. Another medium that provides some interesting statistics is in the source below. 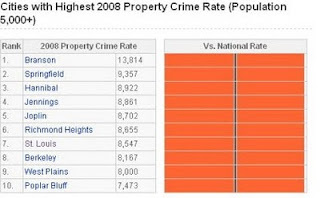 This shows that in 2008, St Louis was ranked 7th in the whole state of Missouri for the quantity of property crimes reported in 2008. 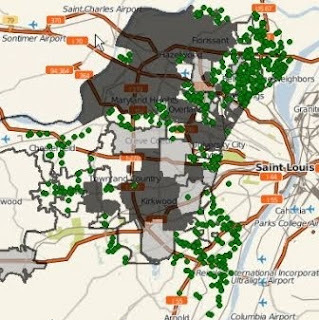 It becomes confusing to understand any mean (average) statistic, when referring to multiple sources, but this particular resource shows that while Missouri is indeed a hotbed of property crime, St Louis is not the leading property crime location in the state. While this doesnt necessarily reflect the quality of the local constabulary in fighting incidences of property crime, it is pleasing that the state's largest city, actually rates fairly low in comparrison to other cities across the state.